Skidmark Bob Interviews Diane & Kelle on 10-25-2005 about their tour, music, sustainable transportation, Big Mountian, producing their environmentaly consience new Album "Hip the Hip" released on Green Eye Records Foundation. Diane's sound is deep and authentic, expressing at the same time hard truth and uplifting hope. 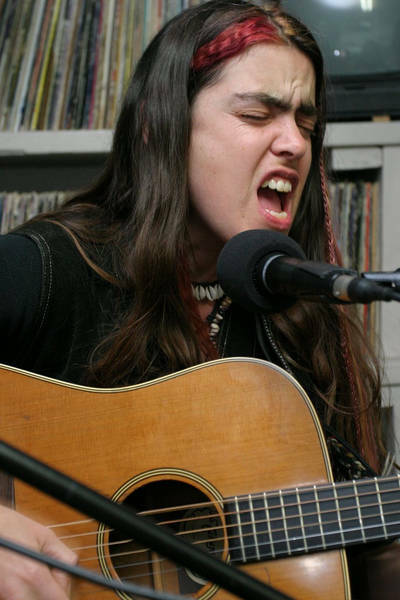 An accomplished guitarist and "wordsmith," channeling lyrics and composing impassioned original music, she insightfully stirs together Grassroots Folk, Funk and Blues in a hopefull batch of original healing musical elixir. Pattersons music is woven throughout today's Global peaceful peoples, grassroots movement for Social Justice, Human Rights & Environmental Sustainability. 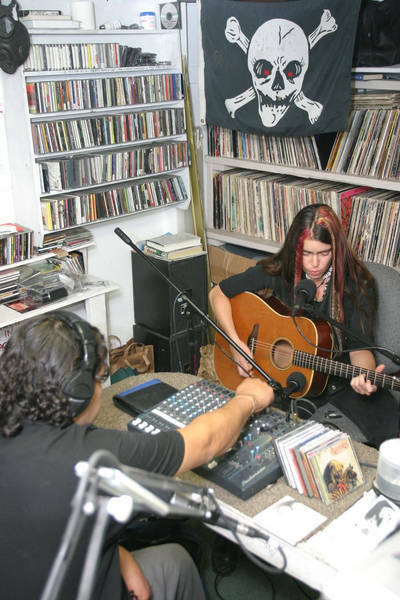 Free Radio Santa Cruz has been on the air for over ten years without a license.